If you track your daily time and bill by the hour, you know how hard it is to make sure that you don’t miss any billable time. Actionstep, which is already the most robust SaaS legal practice management system, recently added a feature it calls “Suggestions” to help make sure that no work goes unbilled. 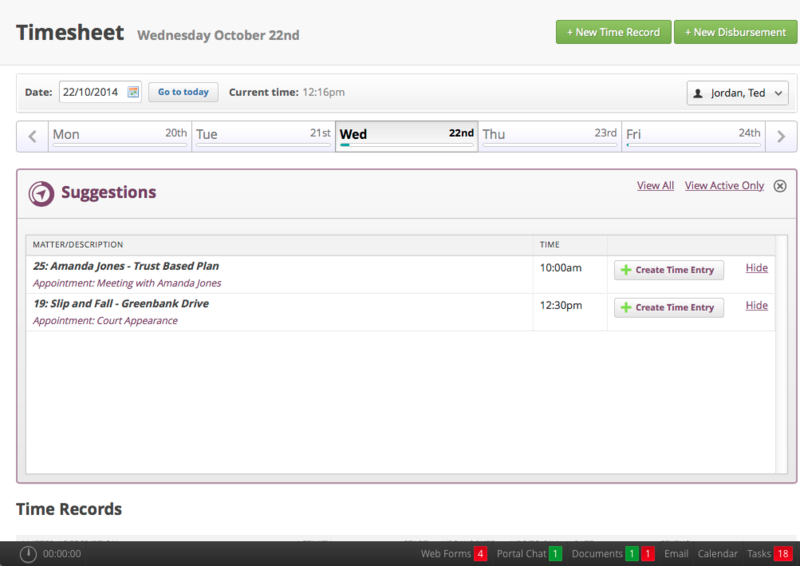 You can then review the Suggestions at the same time you review your Time Records list. If you failed to bill the time for a Suggested activity, pressing the Create Time Entry button will let you enter a Time Record. Or, if it has already been billed, you press the Hide link which removes that activity from your feed. If you forget to review your Suggestions for a particular day, you can easily go back to that day and the Suggestions that haven’t been processed are displayed for your review. Missing just a few billable minutes per day can add up to an very large number over a week, month or year. 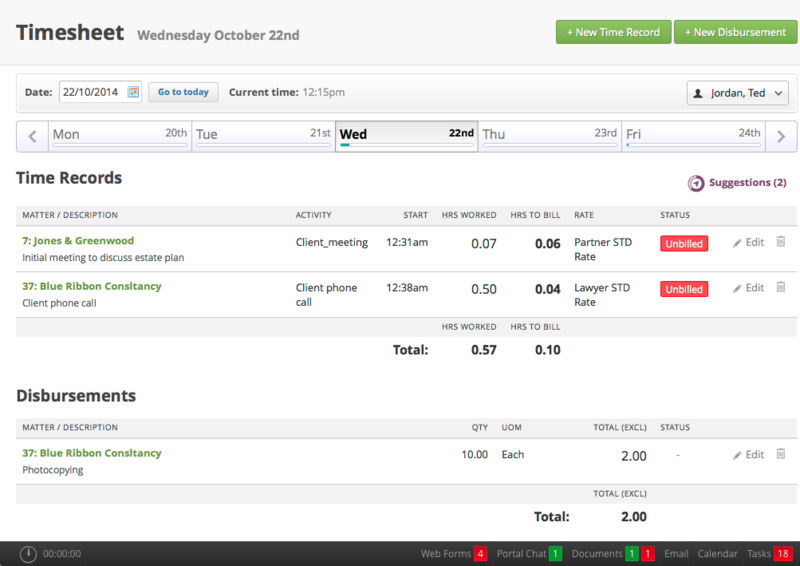 Suggestions is a great way to make sure that you don’t miss time that you should be billing. I love this feature, but was wondering if it’s possible to include emails sent or tagged to a matter as an activity for time entry listed under “Suggestions,” or if that is not possible, the ability to designate an email as billable when assigning it to a matter (for instance, using the Outlook plugin and/or from within Actionstep’s compose email or email inbox. Ha! Nevermind. I just realized I was replying to a post that wasn’t on Actionstep’s site. Sorry for the bother!